Playwrights were normally paid in increments during the writing process, and if their play was accepted, they would also receive the proceeds from one day’s performance. However, they had no ownership of the plays they wrote. Once a play was sold to a company, the company owned it, and the playwright had no control over casting, performance, revision or publication. One distinctive feature of the companies was that they included only males. Until the reign of Charles II, female parts were played by adolescent boy players in women’s costume. The profession of dramatist was challenging and far from lucrative. Entries in Philip Henslowe’s Diary show that in the years around 1600 Henslowe paid as little as £6 or £7 per play. This was probably at the low end of the range, though even the best writers could not demand too much more. A playwright, working alone, could generally produce two plays a year at most; in the 1630s Richard Brome signed a contract with the Salisbury Court Theatre to supply three plays a year, but found himself unable to meet the workload. Shakespeare produced fewer than 40 solo plays in a career that spanned more than two decades; he was financially successful because he was an actor and, most importantly, a shareholder in the company for which he acted and in the theatres they used. 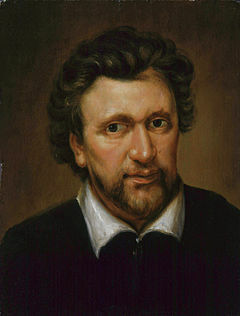 Ben Jonson achieved success as a purveyor of Court masques, and was talented at playing the patronage game that was an important part of the social and economic life of the era. Those who were playwrights pure and simple fared far less well; the biographies of early figures like George Peele and Robert Greene, and later ones like Brome and Philip Massinger, are marked by financial uncertainty, struggle, and poverty. Playwrights dealt with the natural limitation on their productivity by combining into teams of two, three, four, and even five to generate play texts; the majority of plays written in this era were collaborations, and the solo artists who generally eschewed collaborative efforts, like Jonson and Shakespeare, were the exceptions to the rule. Dividing the work, of course, meant dividing the income; but the arrangement seems to have functioned well enough to have made it worthwhile. (The truism that says, diversify your investments, may have worked for the Elizabethan play market as for the modern stock market.) Of the 70-plus known works in the canon of Thomas Dekker, roughly 50 are collaborations; in a single year, 1598, Dekker worked on 16 collaborations for impresario Philip Henslowe, and earned £30, or a little under 12 shillings per week-roughly twice as much as the average artisan’s income of 1s. per day. At the end of his career, Thomas Heywood would famously claim to have had “an entire hand, or at least a main finger” in the authorship of some 220 plays. 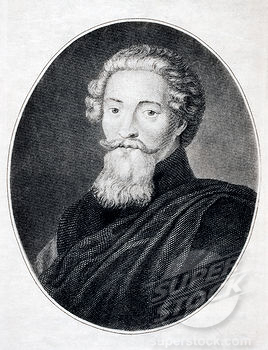 A solo artist usually needed months to write a play (though Jonson is said to have done Volpone in five weeks); Henslowe’s Diary indicates that a team of four or five writers could produce a play in as little as two weeks. Admittedly, though, the Diary also shows that teams of Henslowe’s house dramatists-Anthony Munday, Robert Wilson, Richard Hathwaye, Henry Chettle, and the others, even including a young John Webster-could start a project, and accept advances on it, yet fail to produce anything stage worthy. Shakespeare also often wrote in what is called verse, 90% of his written lines were in 10 syllables. Costumes were often bright in color and visually entrancing. Costumes were expensive, however, so usually players wore contemporary clothing regardless of the time period of the play. Occasionally, a lead character would wear a conventionalized version of more historically accurate garb, but secondary characters would nonetheless remain in contemporary clothing.